As a percentage of South Africa’s gross domestic product (GDP), mining comprised some 8%, which is equal to R335bn in 2017. But this doesn’t quite tell the whole story of South Africa mining’s position in the economy. Gross fixed investment in mining grew to R80.9bn in 2017, compared to R67.6bn in 2016, an increase representing 18.2% of private and 10.8% of total fixed investment in the economy, according to Minerals Council of South Africa (formerly the Chamber of Mines) data. And, of course, it is a large provider of employment: some 464,667 people were employed last year in South Africa’s mining sector, supporting 4.5 million dependents, according to Minerals Council estimates. Employee earnings totalled R126bn. A further R300bn was generated in the goods and services industry that supplies the mining industry. But there are justifiable concerns that during the last ten years in particular, a struggle for the survival of the industry has been underway. The launch of the Mining Charter redraft in June 2017 by former mines minister, Mosebenzi Zwane, was the apogee of these concerns. It raised the prospect new investment might be completely snuffed out in favour of malfeasant vested interests; the emergence of the so-called ‘dark state’ that had commandeered the mining sector for its own nefarious ends. It was a close call but the appointment of Gwede Mantashe as Zwane’s replacement – a function of Cyril Ramaphosa’s promotion to president of South Africa – has changed the picture, somewhat. In September, Mantashe unveiled Mining Charter 3, and “… the last for five years”. It was a document with compromise hard-coded, and certainly less of the bad smell of Zwane’s toxic version. But its critics don’t think it does enough, especially in the realm of encouraging new business where the likes of Nkosi and his Nthuthuko Exploration & Mining toil. In the estimation of Paul Miller, a former resources banker, the Mining Charter redraft was a success only for the status quo. “Let’s be very clear, the charter was a victory for the incumbents: it’s big mining with big government that are doing the charter. The sad thing here is the lost potential,” he said at the Joburg Indaba, a mining investment conference. Now running a private equity company called Concentrate Capital Partners, which focuses on attracting high net worth individuals into brownfields resources investment – instructively notexploration – Miller believes South Africa’s exploration sector is sliding off the world map of mining districts. As reported previously, South Africa’s exploration sector is in rapid decline. The country’s share of the African exploration budget has fallen from 35.7% in 2002/2003 to just 8.3% in 2017, according to data produced by S&P Global Market Intelligence. Budgets set aside for exploration have fallen by a similar quantum: down to R87.1m today from R404m in 2007. As part of an effort to prove mining could be “a sunrise industry” Mantashe agreed with the mining sector not to impose any of the empowerment targets for prospecting right applications: “… because you are still looking”, he said. The empowerment targets would apply, however, in the event explorers seek to convert a prospecting right to a mining right. Not so, argues Miller whose basic premise is that the Mining Charter doesn’t provide certainty regarding future revision. “The Charter itself is fundamentally uncertain and if you read what the minister reserves for himself – the right to gazette at any point – then we don’t know when it’s going to change. He said that he wouldn’t change itfor at least five years … He didn’t say it wouldn’t be changed for five years,” said Miller. Let’s be very clear, the charter was a victory for the incumbents: it’s big mining with big government that are doing the charter. The sad thing here is the lost potential. Miller has suggested a potential adjustment to the Charter, which is still subject to a set of regulations that are yet to be negotiated between the Department of Mineral Resources (DMR) and the industry, along with other stakeholders, such as unions and community representatives. This is Miller’s notion that, at conversion to a mining licence, the status quo of the Charter at the time of the prospecting licence grant be applied – a kind of stabilisation clause. It should not come as a surprise, therefore, that of the two established ‘explorers’ operating in South Africa’s mining sector currently – Bushveld Minerals and Orion Minerals – both are actually involved in the brownfields re-opening of previous operations, and both have primary listings in the UK and Australia respectively. ANTON Esterhuizen has seen a mining project or two. Described as South Africa’s best geologist’, Esterhuizen as discovered vanadium in South Africa, gold in Tanzania, tantalum along Africa’s east coast, as well as the fabulously wealthy mineral sands of Mozambique. In many cases, those discoveries resulted in major mining projects. He’s currently working with long-time colleague, Rob Still at Pangea Exploration building the Bisie tin mine owned by Toronto- and Johannesburg-listed Alphamin in the Democratic Republic of Congo (DRC). He’s of the view that South Africa remains a major centre for minerals exploration, if only the regulatory environment could be improved. Right now, at the top of most investors’ notion of what comprises ‘any commodity you want’, would be those minerals used in the manufacture of battery-driven, electric vehicles: cobalt, nickel, lithium, and copper; not to mention platinum group metals (PGMs) for so-called ‘hybrid’ electric vehicles which has been identified as an equally vibrant future market. What’s interesting about these metals is that because the market for them is so tight – two-thirds of the world’s cobalt is only found as a by-product in the copper fields of the DRC – even small-scale mines can have an economic future. It’s a fallacy that South Africa had cheap labour because the productivity levels are too low. Labour is expensive in South Africa. That suits South Africa perfectly: firstly, the requirement for mining house finance to build large-scale mines is no longer required, and secondly; South Africa is no longer seen as a host to ‘mega projects’ – the type of investment that went into the PGM, and especially the gold mines for which the country is so famed. A recent study by PwC, the auditor, found that last year, there was a R13bn net loss compared to a R6bn profit in 2017 for the gold sector, and its pre-tax margin fell to 26% from 32% in the prior year. The platinum sector fared worse. It produced a net loss of R24bn which was more than double the R11bn loss of 2017. Whilst the numbers are strongly related to the current pricing of precious metals – which are not favoured to platinum of the PGM suite of metals – and a lift in the strength of the rand to the dollar in the period of PwC’s study, the fact remains that deep-level precious metal mining in South Africa is less robust, and more vulnerable to market fluctuations. So, are there grounds for hope? It all depends on the ability of South Africa to lift its investment profile. According to an investor, and a former mining executive, the country’s mining sector could go one of two ways, each with reference to how emerging market economies in South America have fared. 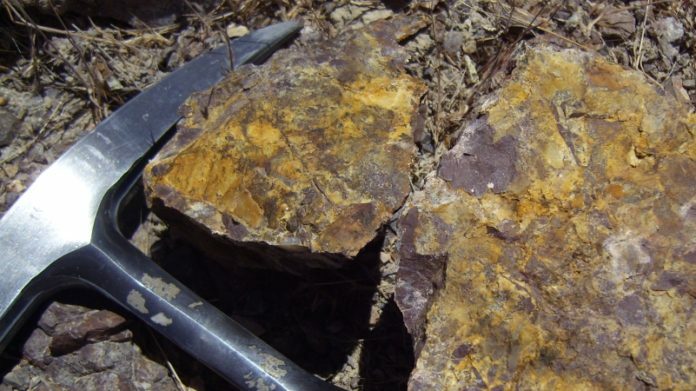 Ian Cockerill, the ex-CEO of Gold Fields and now non-executive of the Blackrock World Mining Trust said the Mining Charter presented an opportunity, but the sector would also benefit if it embraced technology. “Too much of mining takes place in the dark,” he said. “It’s remote mining and you only find out what went wrong after a month. “Sadly, in today’s world, we (South Africa) are an ageing dinosaur because we have been too slow to adopt new technologies.,” he says. A new approach ought to be adopted in respect of labour. Controversially, Cockerill believes South African mining labour has never been ‘cheap’. “For too long, we thought labour is cheap, and we can get by without using new technologies. It’s a fallacy that South Africa had cheap labour because the productivity levels are too low. Labour is expensive in South Africa,” he said in reference to the decline in productivity. According to Nkosi, South Africa has the quality of people and the hunger to re-open the mining sector. “We have a great human capital factor in this place,” he said. “We have a great mineral resource, but what we really need is true miners: guys who have successfully started projects from the ground and who have put the sweat in. 1) get the DMR to be the regulator they should be, not a militant policeman. Create a culture of support and collaboration with the industry, staff it with skilled hard working individuals. 2) Stope and cease all BEE empowerment requirements. Kill the charter. Agree not to change 1 and 2 for 30 years. Then you will see a pouring of investment into South Africa, you will open new mines, expans existing ones, create jobs, bring in foreign exchange. Taxes will be paid. Schools will be built and all South Africans will truly benefit. Agreed, but we know this will not happen. The only objective of the ANC government is to stay in power as long as possible in order to continue looting. Make no mistake, the one being seen as the new messiah, has no intentions of changing this trajectory. He is just a lot more sophisticated than the Zuptas who were crude in their stealing and were always going to be stopped. The new one is much more sophisticated, the looting will be hundreds of times worse and it will be by selling SA and its assets to the Chinese. This time it will not be billions of rands that will be stolen but billions of US dollars, mark my words…. The industry can only begin to recover when there is a root and branch restructuring of the regulatory regime. The weird status of the charter as part policy document, part legislation, part Unabomber Manifesto is ludicrous. Decide what legislation you want and write LEGISLATION. Let judges, not activist officials, decide what compliance means – set deadlines and hard turn around times for officials. Incentivise mining exploration and stop punishing free enterprise. Government needs to get the hell out of the way and let entrepreneurs build enterprises.